When I first started homeschooling it wasn’t because I always knew it would be best for our family. When my son became of age, I sent him off on the big yellow bus to kindergarten. to be honest, I was looking forward to the day. His never ending supply of energy and constant need to be doing things was exhausting. I was looking forward to a little down time while he was away at school. I even had plans of picking up more hours at work. Of course, this was all before his special needs diagnosis came. It became clear on the very first day of school that we were in for a roller coaster of a year. Yes, a year. I made him endure the entire year even though I felt I should pull him from school on several ocassions. The very first day of school I was called to come bring him home. I was shocked to say the least. At home he was a sweet, smart, fun, loving little boy. At school however, he turned into every teacher’s worst nightmare. He ran from the room, down the halls, had meltdowns under the table, banged his head, and shouted hurtful statements just to name a few. I was at a loss, the school staff was at a loss. We had him tested for a couple things and they both came back negative. Public school wasn’t working. It was pretty obvious that the traditional classroom setting was not suitable for him. From the day I told our son we were going to start homeschooling him, his behavior completely changed. It was as if I got my little boy back. He was so excited and stated he never wants to step foot into that place (pubic school) again. For various reasons we had him tested for numerous learning disabilities. He was diagnosed with ADHD, Dyslexia, and Anxiety. A few months later he was also diagnosed with Autism. After his Autism diagnosis, people suddenly started questioning my decision to homeschool. I was constantly asked if I would continue homeschooling him even though he was autistic. For me, the thought of sending him back to public school never crossed my mind. I mean I had just finished our second year of homeschooling and he was thriving at home. I may not have known he was autistic, but I was teaching him and he was learning. Being asked this question numerous times however, made me realize that a lot of parents do feel inadequate to homeschool their special needs kids. Today, I’m here to tell you that it can be done. I will say this about autism, each autistic child is different. What works for me may not work for you. In order to give you proper perspective, my son is on the high functioning end of the spectrum. That being said, it’s still a constant struggle for him. The biggest thing about autism is lack of social skills. In general, homeschooling is an extension of parenting. So we work on social skills through various activities. I’ll ask questions like how do you think they’re (if we’re watching a show, or reading a book) feeling now? Why? 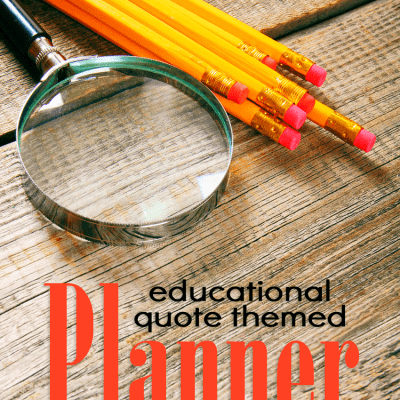 Asking these questions will help build social awareness. It’s for this reason that I’m also using a literature based curriculum this year. Reading books is a great way to help your children learn empathy. We are also looking into outside therapy, behavioral doctors, and autism social groups. These professionals can be a great resource to helping our children. Contrary to popular opinion, we do not need to send them to public school to be taught these things. Children with autism also have some major strengths in the way they think and process information. I look for fun activities in areas autistic children tend to excel in and offer these things in our school day. For example, we do engineering activities with this Engineering Academy book, and piano lessons. Our autistic children don’t think or process information in the same way we do, they can create and problem solve in amazing ways. Finding what areas our children thrive in and letting them study those things will be a tremendous encouragement to them. They are smart, we need to find the areas where they shine and let them go for it! This is the type of tailored education that is hard to come by in public schools. It took me a while to wrap my head around this idea, but my son will actually listen better when he’s moving. To be honest, at first it drove me crazy. In my head it wasn’t possible to listen to me when he’s playing with an object or coloring. However, the truth is that he actually listens better when he’s moving. Now let me be clear, I’m not talking about doing jumping jacks while I’m reading to him. Small movements are really all a child with ADHD needs to help focus. This is why tools like fidget cubes, spinners, and thinking putty are common fidget devices. Another thing I do to help my son with ADHD is offer many and frequent breaks. The most we’ll go without taking a break is 20 minutes. It doesn’t need to be a long break, 10-15 minutes is all he needs. During this time he goes outside to play, sometimes he chooses Legos, other times he’ll play on his iPad. The key is to give him some sort of brain break. Hands on activities and avoiding textbook or workbook style curriculum have also been key for us here. The two biggest keys when homeschooling a dyslexic child is to give them lots of practice, and to use an Orton-Gillingham program. We have had great success with All About Reading and All About Spelling. We also use Nessy online games for more practice. The first year and a half I did all of the reading to our son. I read everything out loud. Now, I am letting him start to read to me more. He has been starting with smaller groups of text and every few days I have him read a little more. It’s important to not expect too much of your dyslexic child too soon. Allow them the time to master what they’ve learned and become comfortable with it before adding more. They need a lot of practice to gain fluency. If we deny them adequate practice they will easily become frustrated and overwhelmed. This can lead to meltdowns and shutting down. No one wins in this situation. Take it slow. Remember learning to read and spell is extremely difficult for a dyslexic child. Give them time, and praise their accomplishments. When they start reading more independently, you might start by having your child read a paragraph then you read a paragraph. In time it will be alternating pages, and eventually they will read a full chapter. It takes time, patience is key here. Also, don’t be afraid of audiobooks or tools like Learning Ally. Your child will learn just as much through these tools as they will by reading the text. Don’t be afraid of them or feel like they will stop your child from learning how to read. It doesn’t matter how we get the information, what matters is THAT they get the information. When it comes to classes outside of reading and spelling, I always made adaptations. For example, when he has to answer a question by writing a sentence I always ask him for his answer. Then, I write the answer on the whiteboard and he will copy it to his paper. By doing this I am taking the stress of spelling out of the equation so he only needs to focus on the subject we’re currently studying. So yes, homeschooling your special needs child is possible. Not only is it possible, I would argue it to be best. By homeschooling you can tailor your child’s education to their needs. If you see something isn’t working you can change it whenever and however you see fit without calling an IEP meeting. Homeschooling our special needs kids also means you take away the stress factors that are common in public school. All of the sights, sounds, and smells can be over stimulating to them. Being labeled, or feeling that they’re behind simply doesn’t happen at home. At home they are safe, loved, free to be themselves without the social pressure from peers. So if you feel uncertain, or have homeschool critics in your life. Hold you head high and remember that yes, you CAN do this! 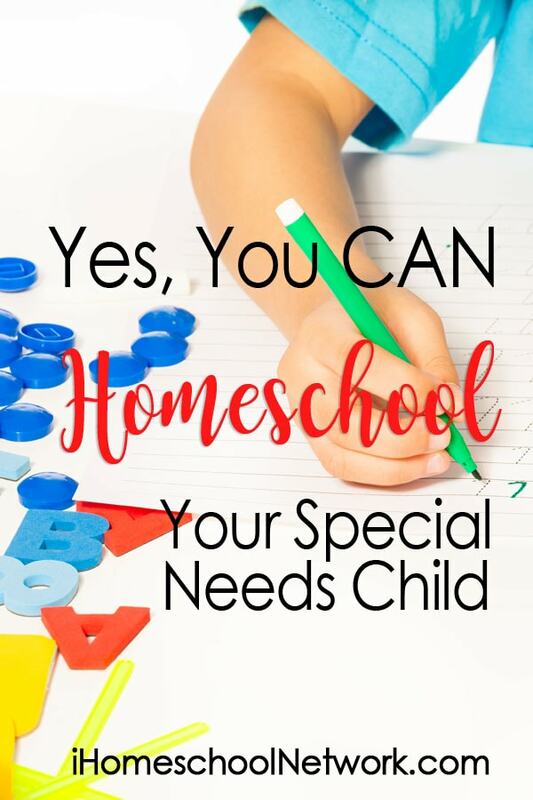 You can homeschool your special needs child. No one can love your child or fight for them like a parent can. Will it be easy? No, but nothing that is worth it is ever easy.